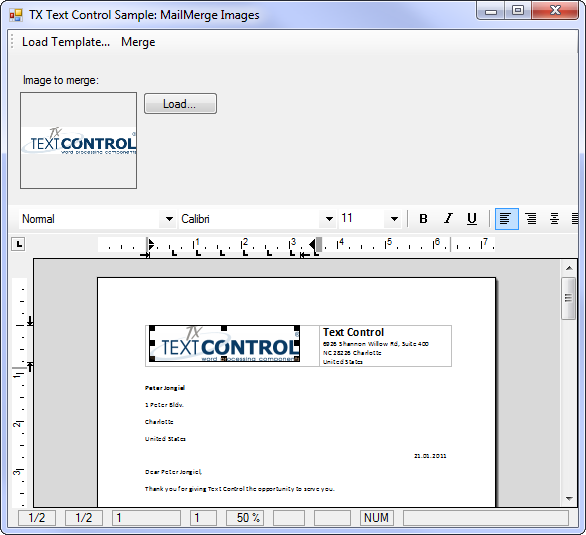 Merging images is required in many templates: Company logos in invoices, pictures of employees in HR reports or signature images in letters. These images can't be part of the template as they have to be merged dynamically. With the release of TX Text Control .NET Server 16.0, the MailMerge class comes with this feature out of the box. It is possible to pass an image path with the merge data or an image can be added dynamically in the new ImageFieldMerged event.